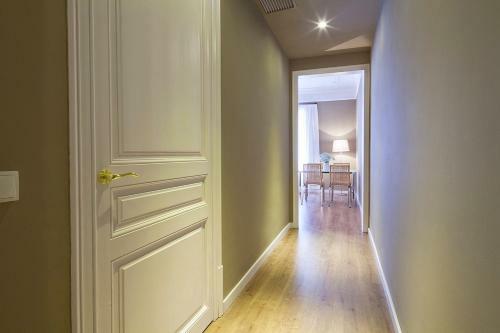 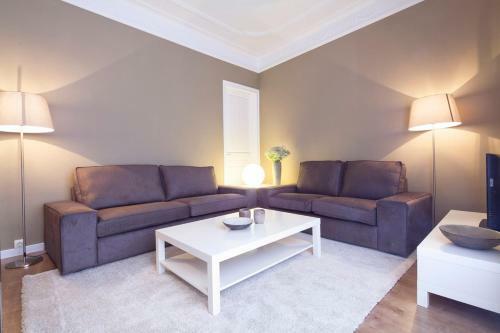 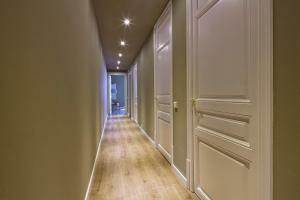 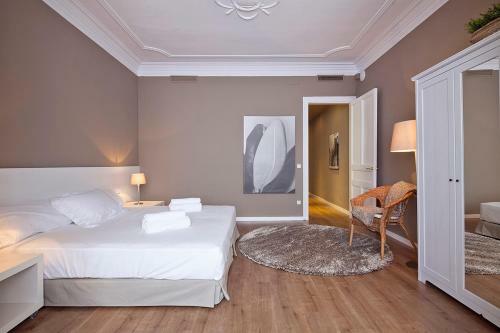 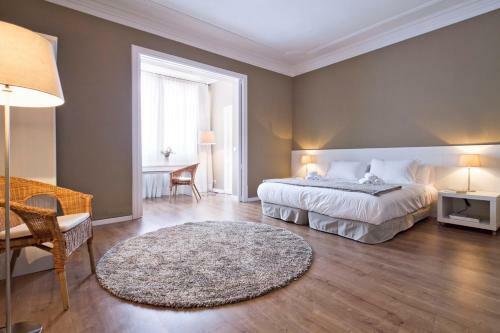 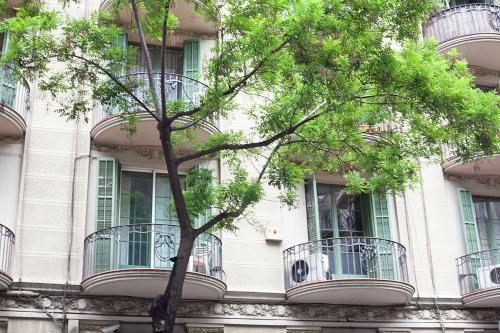 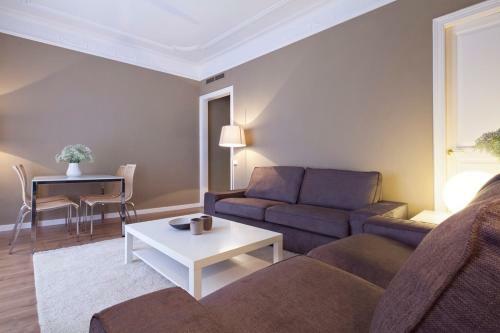 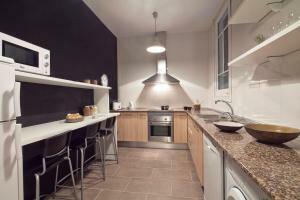 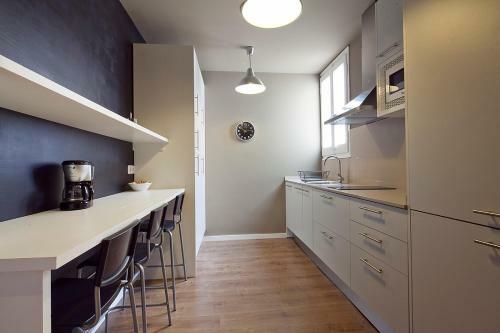 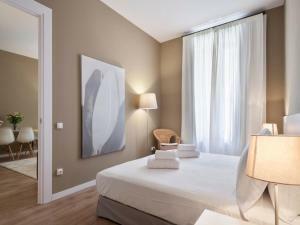 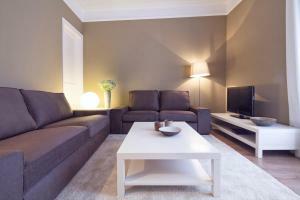 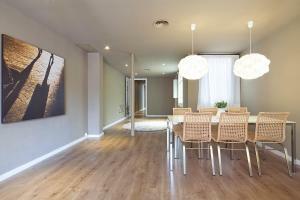 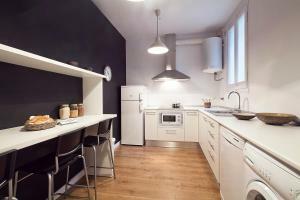 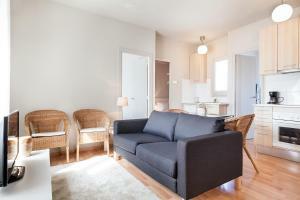 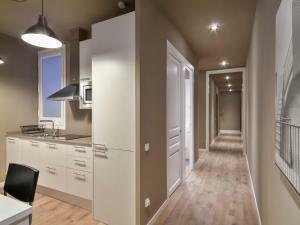 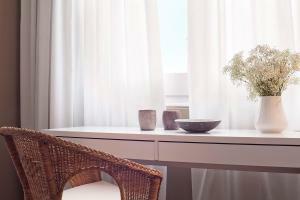 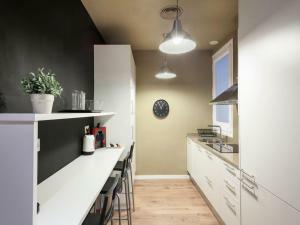 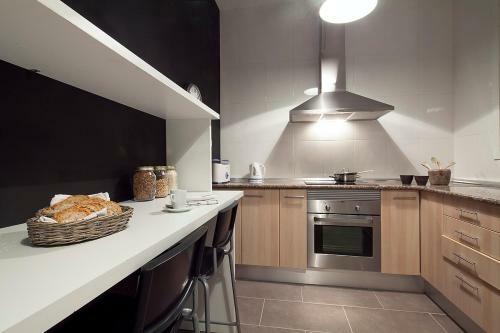 These modern and elegant apartments are located in the chic Eixample district, within 500 metres of Diagonal Avenue. 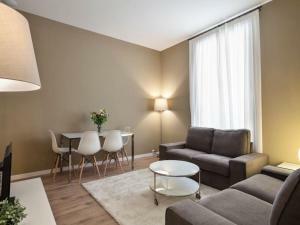 They offer stylish apartments with air conditioning and free WiFi. 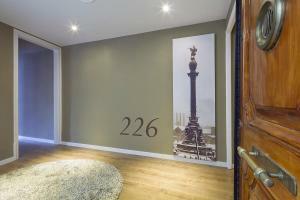 Barcelona 226 Center Exclusive apartments feature stylish décor. Each has a lounge with plasma satellite TV and sofa and a kitchen with washing machine, dishwasher, microwave, hob and coffee maker. 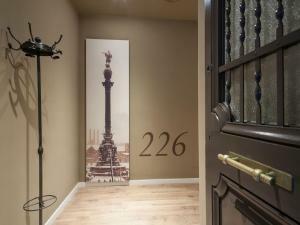 There is also a safe in all apartments. 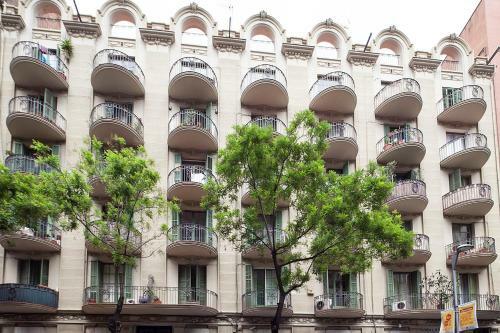 Some of them have a balcony. 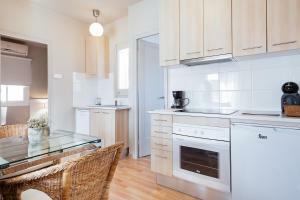 There are numerous bars and restaurants within 5 minutes’ walk and there is a large supermarket 30 metres away. 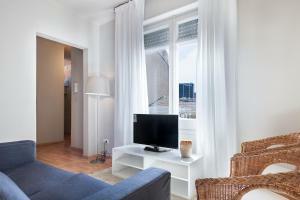 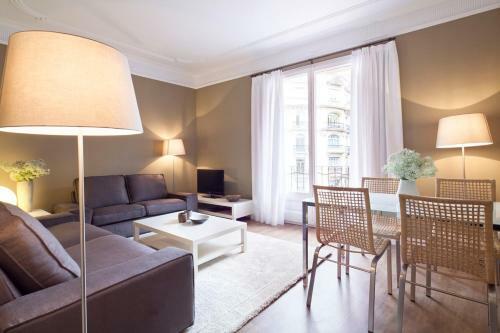 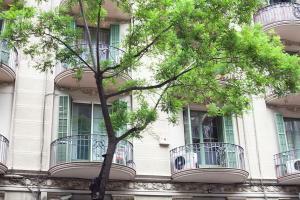 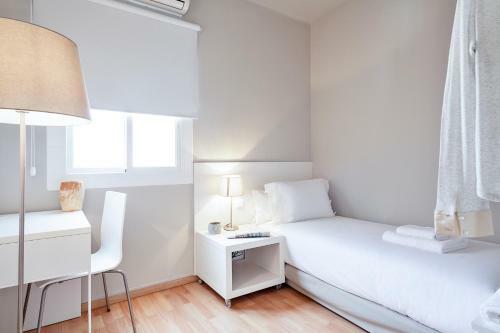 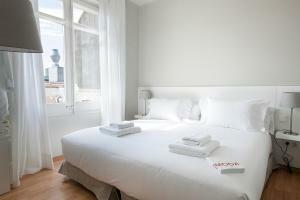 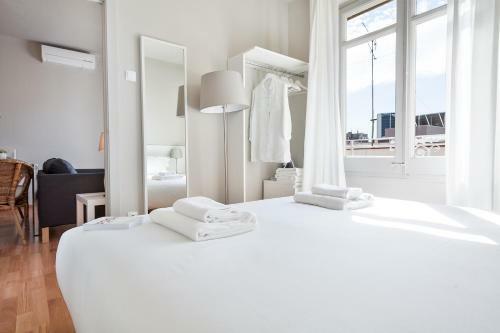 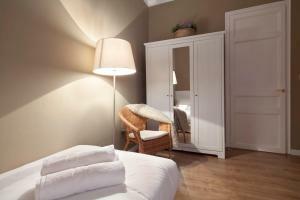 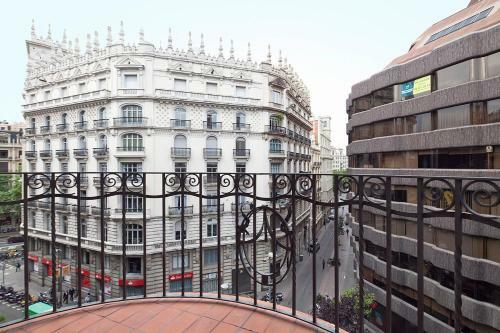 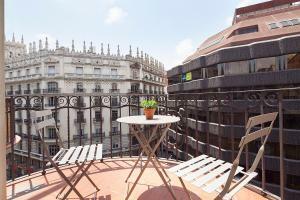 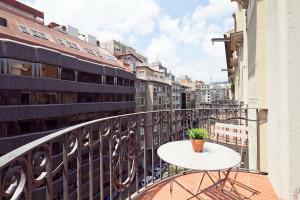 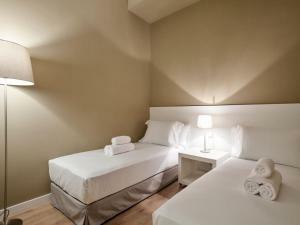 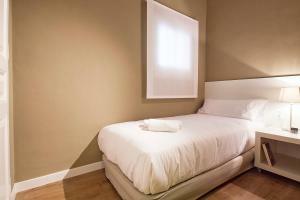 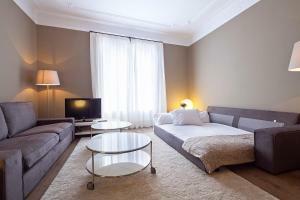 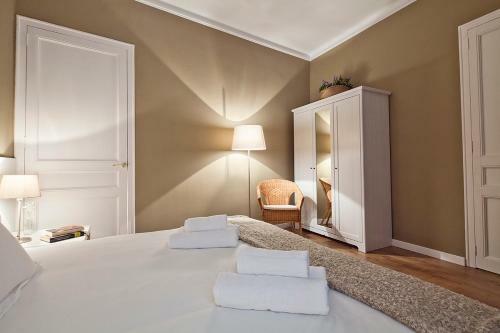 The charming Rambla de Catalunya is just 500 metres away. 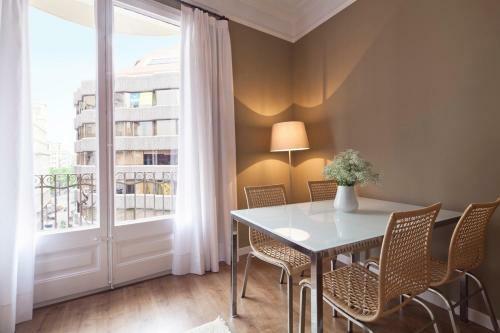 The apartments are all within 15 minutes’ walk of the exclusive Passeig de Gracia Boulevard, with Gaudí’s La Pedrera and Casa Batlló. 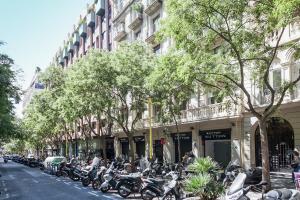 The Barcelona Center Exclusive apartments are within 10 minutes' walk of either Gracia FGC Train Station or Diagonal Metro Station. Please note that Barcelona Center Exclusive has no reception. Please inform the property of your arrival time at least one hour in advance using the phone number found on the booking confirmation. 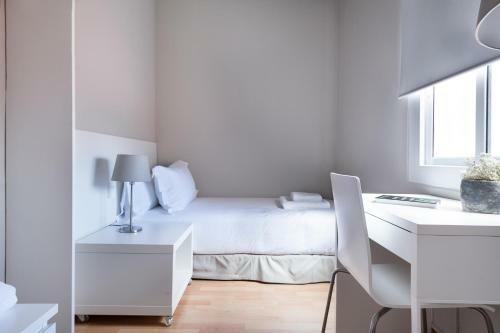 Please note that late check-in after 21:00 carries the following extra charges: - From 21:00 to 00:00 € 20; - From 00:00 to 01.00 € 50. 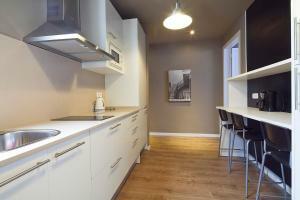 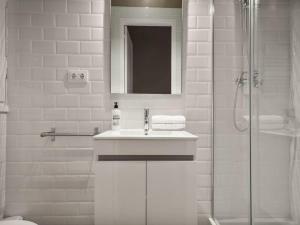 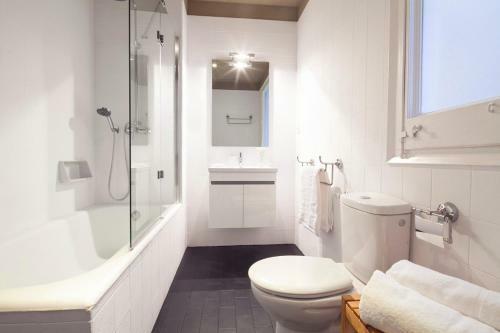 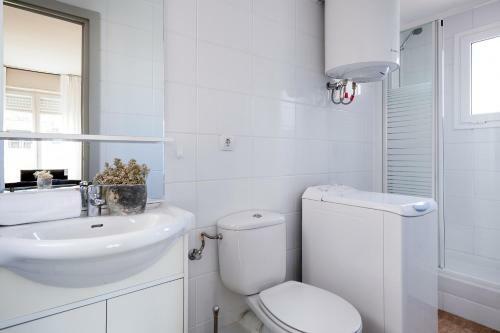 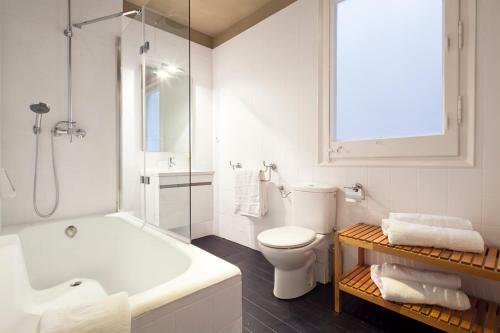 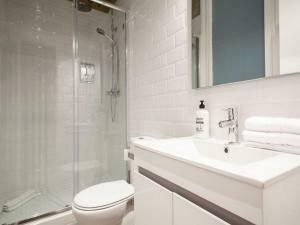 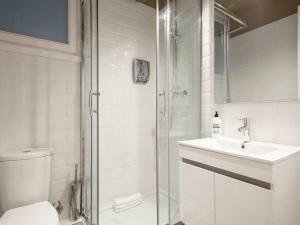 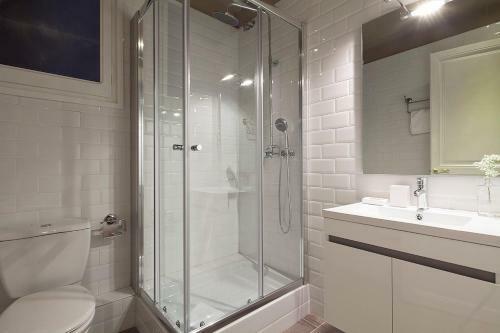 Address: Aribau, 226 This 4-bedroom superior apartment features 2 full bathrooms with shower and hairdryer. 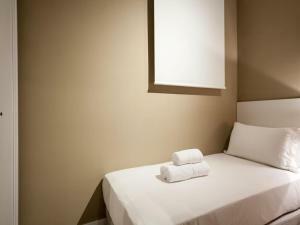 It has a balcony, safe, free Wi-Fi and stylish décor. There is a lounge with plasma satellite TV and sofa and a kitchen with washing machine, dishwasher, microwave, hob and coffee maker. 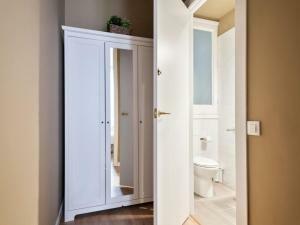 There is a safe in the master bedroom. 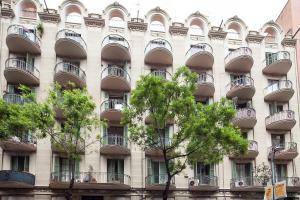 Some apartments are located in a building with a lift and others are located on the first or second floors of a building without a lift. 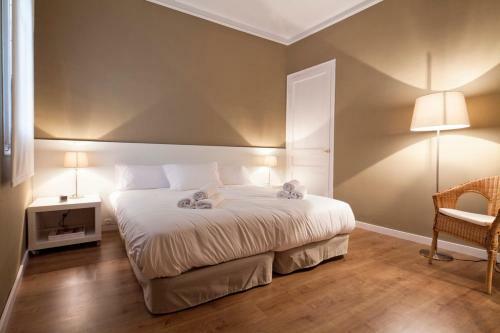 Rate: € 260.33 ... € 297.60; select dates below to get current rates. 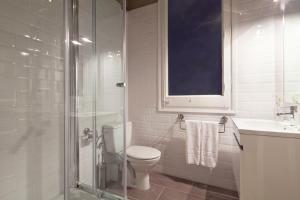 Address: Aribau, 226 This 4-bedroom apartment features 1 bathroom with shower and a separate toilet. It has a balcony, safe, free Wi-Fi and stylish décor. 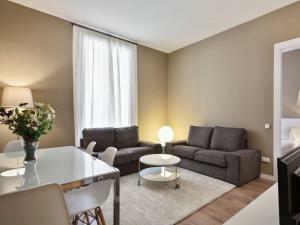 There is a lounge with plasma satellite TV and sofa and a kitchen with washing machine, dishwasher, microwave, hob and coffee maker. 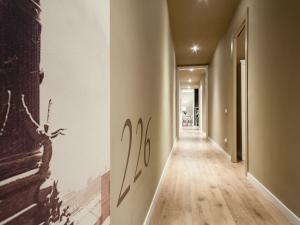 Please note that the apartment is located on the 2nd and 5th floor and the building does not have a lift. Rate: € 171.00 ... € 375.00; select dates below to get current rates. 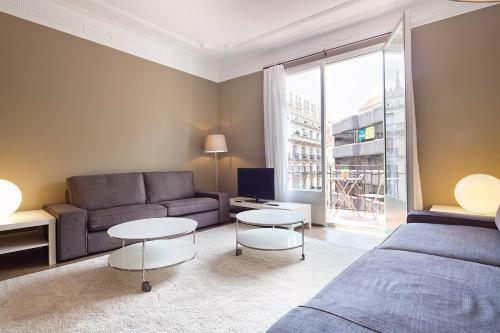 Address: Aribau, 226 This 3-bedroom apartment features 2 full bathrooms with a hairdryer, 2 double bedrooms and 1 single bedroom. 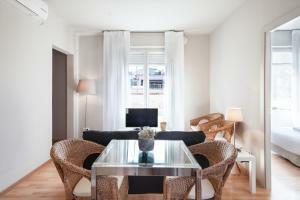 It has a balcony, safe, free Wi-Fi and stylish décor. There is a lounge with plasma satellite TV and sofa and a kitchen with washing machine, dishwasher, microwave, hob and coffee maker. 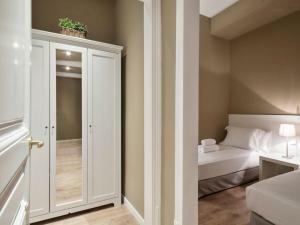 There is a safe in the master bedroom. The building has a lift. 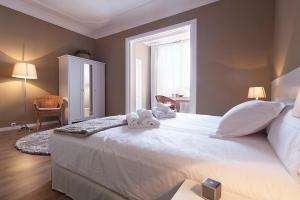 Rate: € 152.00 ... € 300.00; select dates below to get current rates. 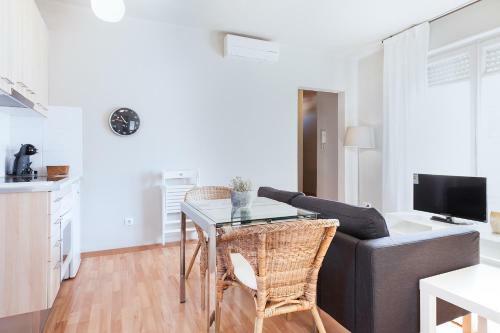 Address: Calle Tuset Offering free WiFi, this apartment has a living room featuring a flat-screen TV with satellite channels, and an open-plan kitchen. There is a double bedroom, 2 single bedrooms and a bathroom with a shower. 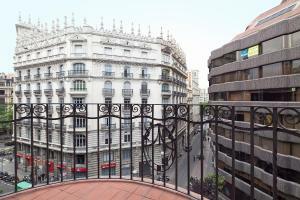 Please note that this apartment does not have a balcony and it is located on the top floor of the builiding. There is a lift with capacity for 3 people. 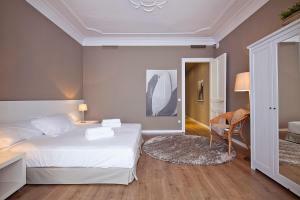 Rate: € 500.00 ... € 600.00; select dates below to get current rates. Address: Aribau, 226 This 4-bedroom apartment features 3 full bathrooms with a hairdryer, 3 double bedrooms and 1 single bedroom. 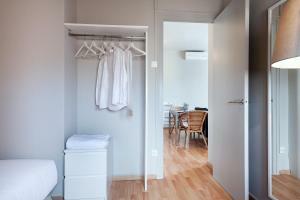 The apartment is interior on the ground floor facing the backyard of the building. 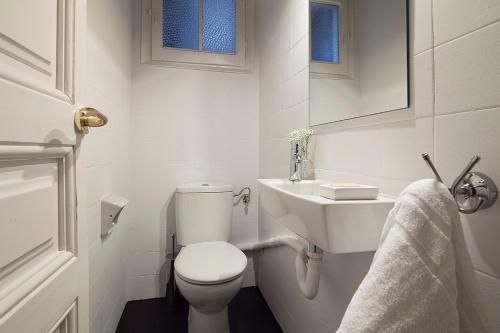 It has a safe, free WiFi and stylish décor. 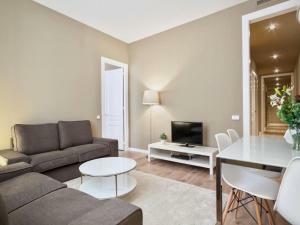 There is a lounge with plasma satellite TV and sofa and a kitchen with washing machine, dishwasher, microwave, hob and coffee maker.